Are you feeling the heat (not to mention the more frequent storm events, rising sea levels, and flooding) of global climate change? Not quite sure what to make of the environmental changes you see in your backyard? 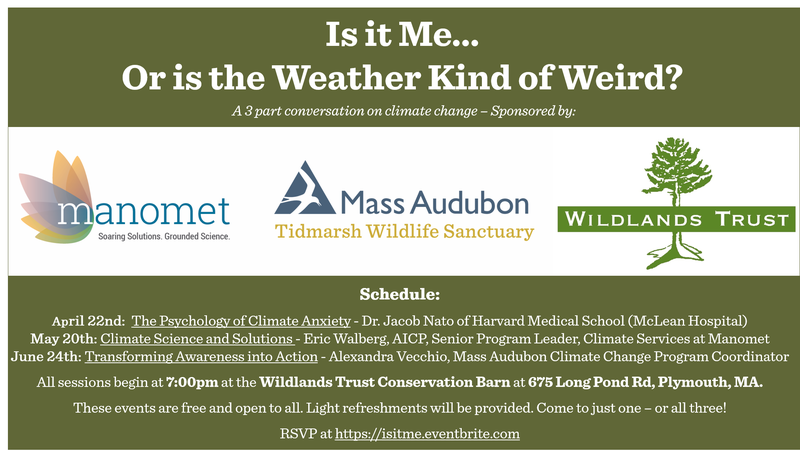 Mass Audubon, Wildlands Trust, and Manomet are joining together to offer a three part series to get the conversation about climate change started! Join us for one or all three sessions to discuss the Psychology of Climate Anxiety, Climate Science and Solutions, and Transforming Awareness into Action. Each event will begin with a short presentation on the topic (about 15-20 minutes) followed by questions and conversation. 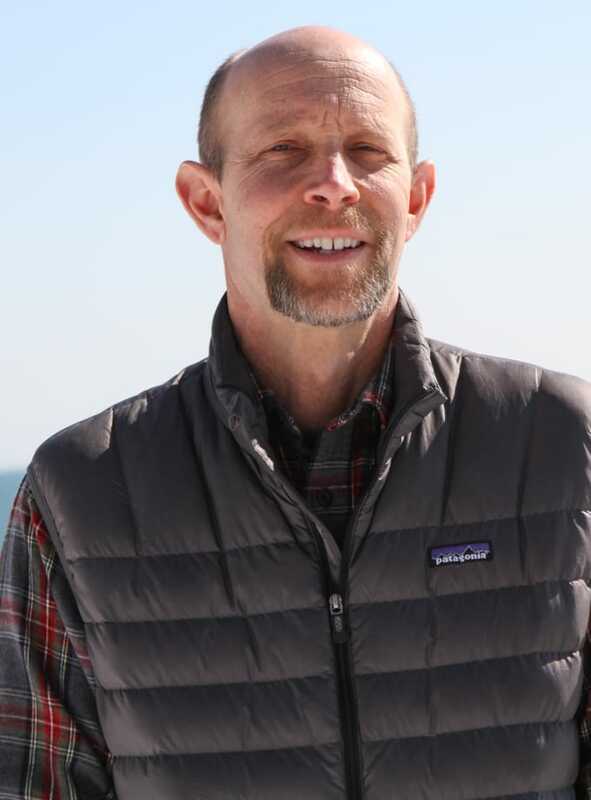 All sessions begin at 7pm at the Wildlands Trust Conservation Barn at 675 Long Pond Rd, Plymouth, MA. These events are free and open to all. Light refreshments will be provided.